This review first appeared in May 2017 on HifiKnights.com. By request of the manufacturer and permission of the author, it is hereby syndicated to reach a broader audience. All images contained in this piece are the property of Dawid Grzyb or AMR - Ed. English iFi Audio have gained a lot of recognition over the past few years. Given their small silver and affordable but thoroughly enjoyable devices, rightfully so. Although just several years old, they aren't newcomers. Parent company Abbingdon Music Research aka AMR are known for sophisticated equipment catering to the most demanding audiophile crowd. Once an opportunity struck to get familiar with their DP-777SE digital processor, I jumped. Did I mention that even iFi Audio are far from a typical hifi company? Amongst their regular products, be it headphone amplifiers or portable sources, their catalogue includes very unusual entries like the iTube2. Who still does valve buffers? iFi, that's who. With certain highly specialized products, they target specific audio-related issues which often go unaddressed elsewhere. That's because the crew behind iFi/AMR have the proper know-how. One glimpse at their activities on various audio fora and everything becomes crystal. Today in fact more people seem to be aware of iFi Audio than the older AMR mothership. That's perfectly understandable. iFi's portfolio consists of fairly affordable mobile and desktop devices to meet the ever-growing demands of PC audio and headphones. That's a huge market; undoubtedly much bigger than costly heavyweight audiophile products. Unusually, the AMR/iFi team don't hide their vast knowledge. They are exceptionally keen to share their technical prowess for both their upcoming and available products. The staff interacts with forum posters to answer every technical question asked. Someone obviously has the answers and one name shows up more frequently than any other. I'd read about Thorsten Loesch many years ago. As both a hobbyist and journalist, I was very impressed by his posts then and remain so. His activities are far too numerous to get into here. Suffice to say, the proof is on the web. Years ago he joined Abbingdon Music Research. With them, he oversaw the launch of iFi Audio to serve buyers who are comfortable in the ±€500/ea. range. The parent company is about components €5'000 and up. Their first was 2006's CD-77 Reference Class Processor. It's highly probable that it was the very first such deck with an USB input. The message behind it was simple. Its designers aimed at the most vinyl-like experience from CD but the USB input was a major twist back then. The deck showed at CES 2007 with music playing from silver discs off a Winamp-fed laptop controlled via HTC Athena - six months prior to the original iPhone premiere. These days all that's old hat but back then such functionality surely was a future shock. Vintage multibit DACs and players remain popular even today and these English decks sport a very serious Philips TDA1541A converter that's become hard to execute if one wants authentic and not counterfeit silicon. Apparently AMR are deep into the so-called 'analogue' sound. I was told that their warehouse contains a large number of these very TDA chips stockpiled as ingredients vital to their designs. Of course the CD-77 isn't the only heavyweight product in the AMR portfolio which, quite a given, isn't terribly crowded. Besides the CD/DAC, there's the AM-77 stereo integrated amp, PH-77 phono stage and LS-77 monitor. These are all meant to work together, each with dual-mono single-ended circuitry except for the speaker of course. The 77 range represents AMR's most ambitious stuff, with stickers of €8'000 and up. Quite a bit below sits the 777 range to which today's loaner belongs. 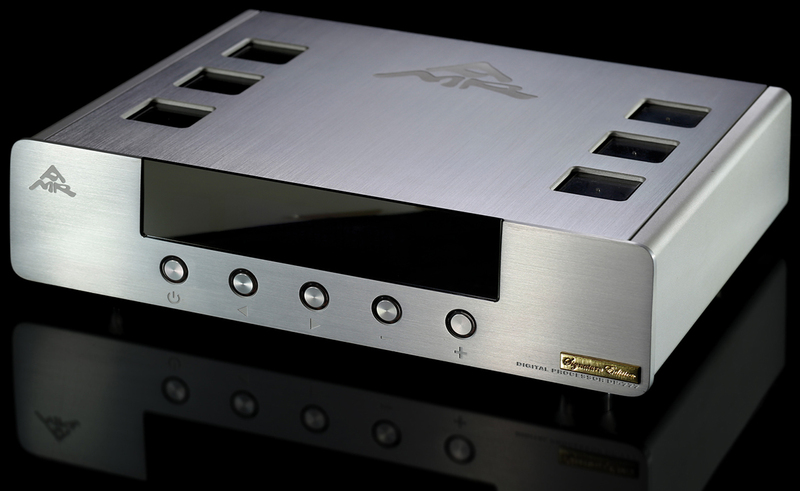 It shares the ±€5'000 space with the AM-777 integrated amp and CD-777 disc spinner. Redbook, anyone? Granted, the DP-777 isn't new. It's been around for quite some time, several years in fact. 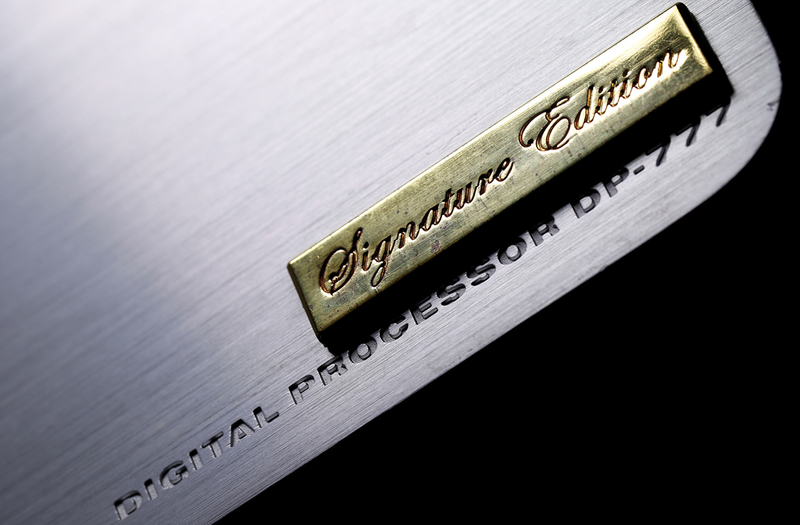 Yet not that long ago its internals received a significant upgrade, hence the SE (Signature Edition) decal upfront. The official SE document is more than four pages long. It's safe to say that the revamp was extensive. I can't say how it sonically upgraded the unit as I never heard the original. That is what it is. What I looked at seemed very tasty and promising.